Americans are on an absolutely spectacular debt binge. Does this mean that the economy is getting better, or does this mean that U.S. consumers are totally tapped out and are relying on borrowed money to make it from month to month? On Monday, the Federal Reserve announced that total consumer credit in the United States increased by a whopping 24.6 billion dollars in May, which was far greater than the 12.4 billion dollar gain that economists were anticipating. Total U.S. consumer credit has now hit a grand total of 3.9 trillion dollars, but it is the “revolving credit” numbers that are getting the most attention. Revolving credit alone shot up by 9.8 billion dollars in May, and that was one of the largest monthly increases ever recorded. At this point, total “revolving credit” has reached a brand new all-time record high of 1.39 trillion dollars, and credit card debt accounts for nearly all of that figure. The optimists will tell us that this is yet another sign that the U.S. economy is booming, and hopefully they are correct. But does it really make sense for U.S. consumers to go on a historic debt binge when much of the country is already drowning in debt and just barely scraping by from month to month? In a previous article, I pointed out that U.S. consumers have been spending more money than they make for 28 months in a row. I also pointed out that 22 percent of all Americans cannot pay all of their bills in a typical month. One way to keep things going is to use newer credit cards to pay off the older ones, and I am sure that most of us have been there at some point. But we are getting to the point where American families are being absolutely overwhelmed by debt. If you go all the way back to 1980, the average U.S. worker’s debt was 1.96 times larger than his or her monthly salary. In 2018, that number has skyrocketed to 5.00. Is that healthy or unhealthy? Overall, American households are now collectively 13.15 trillion dollars in debt, which is the highest level ever recorded. So I would submit that rising consumer debt is not a good sign. Instead, I would suggest that it shows that our debt problems are accelerating. And the numbers appear to support that hypothesis. 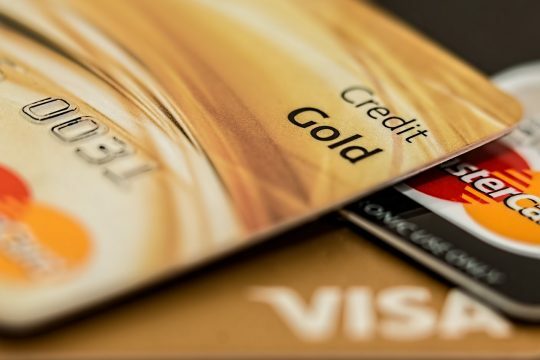 According to one recent survey, 42 percent of U.S. consumers said that they paid their credit card bill late “at least once in the last year”. And that same survey also found that 24 percent of U.S. consumers made a late payment “more than once in the last year”. When you pay a credit card bill late, what happens? Late fees kick in and interest rates shoot up, and that is when debt problems can really start to escalate. Building your credit is one of the toughest but most necessary financial tasks when you’re entering the working world, and a credit card—when used correctly—can be a great tool to help you secure lower interest rates on a car or house loan. Yes, credit cards can be useful tools as long as you keep them paid off. Unfortunately, much of the country does not do that. In fact, the same survey that I just referenced above discovered that 22 percent of all consumers believe that “carrying a balance on a credit card account actually helps improve a credit score”. That isn’t true, but it is a myth that continues to float around out there, and the credit card companies are not exactly discouraging it. Another reason to avoid using credit cards a lot is because thieves are becoming much more sophisticated. Skimmers are small, electronic devices installed secretly at pumps and able to capture a swiped payment card’s protected data, the agency said. Commercial keys purchased online let fraudsters access pumps often left unattended, according to a report from ABC News. Thieves then return later to retrieve the devices or transmit it remotely via Bluetooth, before using the information to make purchases, Matthew O’Neil, a representative of the agency, told the network. Of course I am not saying that people should never use credit cards. They can make it much easier to shop and do business online, and I use them myself. But I always pay them off each month because credit card debt is one of the most toxic forms of debt. Today, the national average for credit card interest rates is 16.92 percent. So let’s imagine a hypothetical for a few moments. If you are carrying a $10,000 balance at 17 percent, your minimum payment would typically be around $240 a month. If you only make the minimum payment each month, it will take you 340 months to pay that credit card off, and over that time you will pay $13,607.46 in interest. In other words, you will ultimately pay the credit card company $23,607.46 for the privilege of originally borrowing $10,000. We live at a time when there is so much uncertainty, and if things take a substantial turn for the worse you definitely do not want to be struggling with credit card debt. Because it typically carries such a high interest rate, credit card debt is usually one of the very first forms of debt that you want to get paid off. Unfortunately, they don’t teach our young people about the dangers of credit card debt in school, so many of them end up learning the hard way.